Government of Karnataka has set up, through PPP model, a network of 800 telecenters at village hobli level. It has also got set up 177 backoffices at taluka level. These telecenters would deliver range of G2C and B2C services at the citizen’s doorsteps. The Government of Karnataka’s vision for the Nemmadi (Telecenter) Project is that IT enabled Government services should be accessible to the common man in his village, through efficient, transparent, reliable and affordable means. The mission of the Nemmadi project is to deliver efficient Government services at the Citizen’s doorstep. To create efficient and smart virtual offices of state government in all the villages. Initially, to provide copies of land records and 38 other citizen centric services of the revenue department in a convenient and efficient manner through 800 village Telecenters across rural Karnataka. To scale up the operations to cover all other G2C services of all the departments. To enhance the accountability, transparency and responsiveness of the government to citizen’s needs. To provide government departments and agencies means of efficient and cost effective methods of service delivery to citizens. To manage the delivery of services through PPP model. To enable government departments and agencies to focus on their core functions and responsibilities by freeing them from the routine operations like issuing of certificates, land records, collection of utility bills of citizens and thereby enhancing the overall productivity of the administrative machinery. Decentralization of delivery of government services from the Taluka office to the village Telecenters. Provide a single window for request and delivery of e-governance services to the citizens. Cost effective, speedy and efficient interface between the Government and Citizens. Greater transparency, objectivity and accountability in delivery of government services. Empowerment of all the sections of society by facilitating them to gain knowledge about their rights and privileges. Village level bureaucracy would be able to use this facility for transmission of data to district and state headquarters. Capacity building, literacy and employment of rural educated youth by helping them acquire proficiency in computers. Creation of a citizens database on a incremental basis. If the environment around us is still a bit friendly, despite it being heartlessly polluted and looted of its rich wealth, it is because of a few people like Mr A R Shivakumar, a Senior Scientist and Principal Investigator-RWH since November 1981, at the Karnataka State Council for Science and Technology, situated in the lush green campus of the Indian Institute of Science, Bangalore. 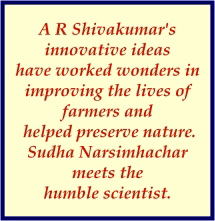 This humble Engineer is an innovative thinker who has been fascinated by the power of science in making our lives comfortable as also preserving nature. No wonder he won the National Award for Invention of the High Efficiency Low Wattage Electric Water Heater from the Department of Science and Technology, Government of India, in the year 2002. His list of inventions is quite long starting with the Sisal Decorticator, which he developed as part of his final BE project in 1981 and won the State Science Council award. 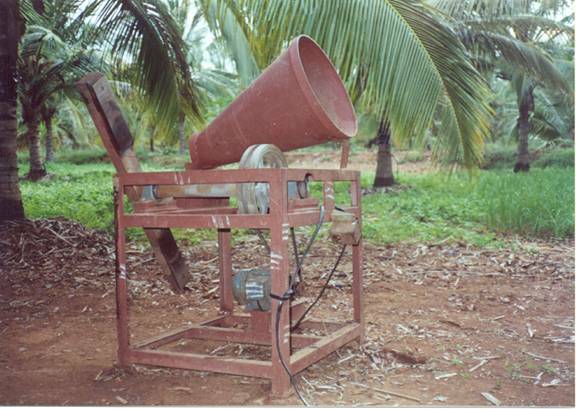 This design of Mr. Shivakumar was later adopted as the national design and today thousands of farmers across the country are using this simple machine to separate the fibre from the sisal plant locally, to avoid transportation costs and improve the efficiency. 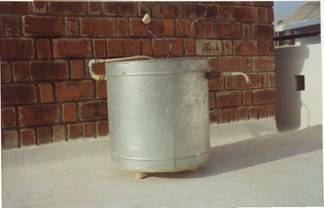 He was one of the scientists, who advocated the popular energy saving ASTRA stove and worked for its dissemination to remote villages. He then improved the design of bullock carts to suit the unfriendly roads of the villages, invented the low cost eco-friendly, solar godowns to dry coconuts within 6-7 months, coconut frond shredders for optimum use of dry fronds and so many other small things to help the rural sector. These innovations apart, Mr. Shivakumar‘s contribution to rainwater harvesting is something that needs to be stressed upon. His house “Sourabha“ is a place every Bangalorean “must“ visit. Adopting all the points he propounds, Mr.Shivakumar saves nearly nearly 30-40per cent power and managing without availing the Corporation water facility! His family of four is able to manage all domestic needs, including gardening, washing the car, etc. with the rainwater they collect in their sump for nearly eight to nine months a year. For the rest of the year, they pump water from their borewell, which is also well recharged with rainwater by direct injection, through infiltration gallery. His simple and cheap eco-friendly roof integrated solar water heater, designing of rat-trap walls, simple water purifier, which needs no power, solar cooker, solar lighting and adoption of very simple methods like painting the terrace white, strategic placement of windows and doors and having water bodies and greenery all around have all helped the family save power to a major extent. Added advantage is that the members remain in the pink of health. But Mr Shivakumar‘s knowledge is not restricted to benefiting family. He wants to help the State in which he lives as much as possible and has been toiling for this with pleasure. He was the principal instigator of the first ever structured pogramme on RWH under the Indo-Norwegian Project in 2002. This was a Rs.50-lac project interestingly born at Mr.Shivakumar‘s house, which impressed the Norwegian Councillor very much. Ten Demonstration Plots were taken up and they were Vidhana Soudha, High Court, GPO and Mail Motor Service, GKVK, Fire Station, Rajajinagar, Kengeri Beedi Workers‘ Housing Colony, Kidwai Memorial Hospital, Collegiate Public Instructions, KSCST and the BMP buildings. Besides, two exhibition plots at Banshankari BWSSB Service Station and the BMP Day Care Centre at Richmond Town were also taken up. “Working on this project was a very fulfilling experience. Each building is a marvel in its own and I can write a book about this project. For instance, when we took up the High Court building and went on to the roof top to look for the drain pipes from there, we were astounded to find none all around the building. We had to research a lot to realise that the pipes were embedded inside the lovely red pillars of the building. What a wonderful way of hiding those ugly pipes. “Then, coming to Vidhana Soudha, executing the RWH project was a challenge because we were given strict orders that the beauty of the building should not be marred in any way. After a lot of thinking and planning, we had to bring the rainwater outside the building through ventilators of the five feet thick walls in the basement. “My BMP project was also very interesting. Just as I entered the BMP office, I found the old swimming pool being demolished. I rushed to the Commissioner and requested him to stop that work immediately, because that pool was a wonderful, huge tank, where lakhs of litres of rainwater could be stored. The Commissioner was very cooperative and today, you can see a lovely landscape above the pool and below it is stored all the water, which meets the needs of the BMP office for the whole year. “At GKVK, we have executed a zero-discharge project, which ensures that not even a drop of water goes waste“, says Mr Shivakumar. Mr Shivakumar has conducted 26 training programmes for different target groups like the architects, builders, contractors, plumbers, service providers, planners and policy makers, IAS, IPS and IFS officers. He also fondly remembers his active participation in the Government of India, Department of Science and Technology funded project in Tumkur, where too, ten public buildings such as the Government Hospital, DC’s Office, SIT, etc. were taken up for implementing RWH schemes. Mr V P Balegar, IAS was very supportive in setting up quasi-Government Rainwater Resource Centres in each District and also implementing the RWH project at least in a minimum of 20 houses in each village of every taluk, covering all the 176 Taluks of Karnataka, he says. The personnel in these district centres will be trained and attached to the local Engineering College. “Arghyam“, a voluntary organisation under the leadership of Ms.Rohini Nilakeni will extend its support to monitoring all the activities in the rural RWH programme. Mr Shivakumar goes all out to see that RWH is adopted by as many Bangaloreans as possible and hence participates in a number of Radio and TV programmes to give publicity to this essential concept. Besides, Mr.Shivakumar has published “Amruthavarshini“ a guide for RWH in Kannada & English. He has also published a number of articles and papers on the topic individually as also in cooperation with his colleagues. 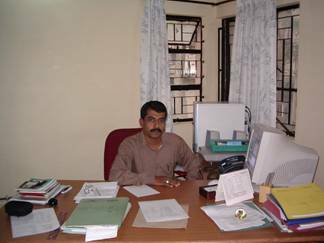 He has been instrumental in providing technical support and specifications for RWH in the Government Schools of Karnataka. The RWH team of the KSCST consisting of enthusiasts like Mr.Shivakumar visit various districts in the State for advising and guiding the field level implementation of team for installation of RWH in 23000 23683 rural schools. “Karnataka Vikasa“ the Government of Karnataka journal, has extensively covered the experiences and success stories of the various RWH projects in the State. Apart from his pet project of RWH, Mr Shivakumar fondly remembers his success story when he was on a 6-year deputation to International Energy Initiative for Energy Planning and Conservation, where he worked for a project on Sustainable Energy Supply funded by the Rockfeller Foundation. “It was a very rich experience. I realised the strength of involving communities in self governance. Our country really needs many such projects, because the Government cannot meet the needs of all the remote villages with its limited funds and infrastructure. I was the Programme Executive for Asia Office. “Under that project, we had chosen ten villages and set up low-cost community bio-gas plants. We used to ask the farmers to deposit cattle dung at the plants every morning and paid them 5 paise per kilogram for dung transfer. They were permitted to take back an equal quantity of used up dung, which was now more enriched and served as better manure for their farms. A pass book was maintained to keep note of the dung deposited and taken back. With a simple bio-gas engine, electricity was produced under the supervision of just a local attendant. This power was supplied to all houses. Each house was provided with one tube light point and a tap. “The same engine used to produce electricity during the night and pump water to the houses during the day. Each family had to spend just Rs.10 per month. towards maintenance of the engine and salary of the attendant. The project took off very well and the people too were very happy, as they received water and power at their doorsteps at such a minimum cost. The villages almost became self sufficient and did not bother about the electricity supply not reaching their villages. “However, it is sad that in a few years, due to various obvious reasons, the projects started fizzling out in the villages. Today, Mavinakere village alone continues to successfully operate this bio-gas plant. The Mahila Sangha runs the unit under the supervision of BAIF (Bharatia Agro Industries Foundation). Such models should be publicised more if all the villages in India are to progress soon,“ says Mr. Shivakumar. This world will be a much better place if each one of us is as motivated as Mr. Shivakumar to conserve energy, water and protecting the eco-system. Karnataka has about 175 Taluks The table below lists all the Taluks in Karnataka state of India, district wise. 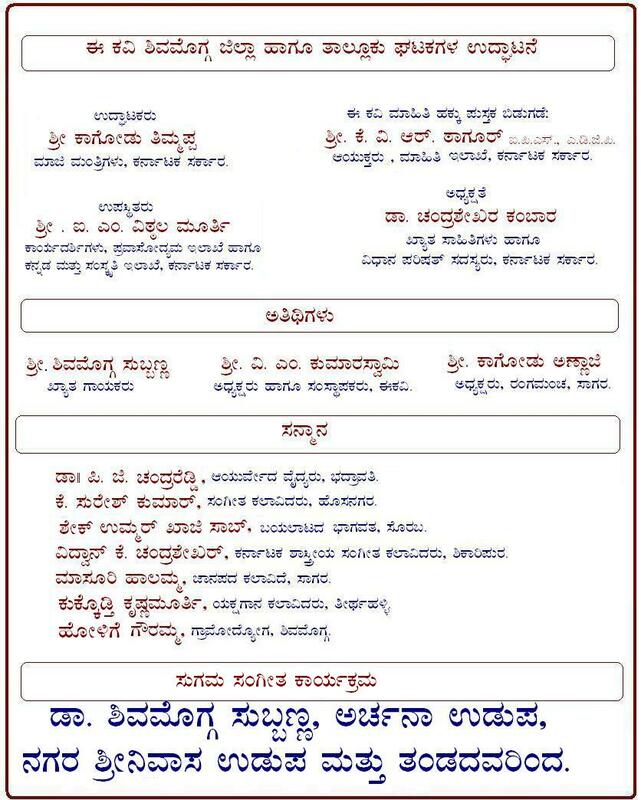 Known as the ‘Kannada Kanva’ for his guardianship of Kannada literature, B M Shri’s mother’s native was Sampige village of Turuvekere taluk. He spent his childhood days here. The demand of local litterateurs and villagers for a memorial in the name of B M Shri in this village has been there since last 20 years. When the present Secretary of Kannada and Culture I M Vittal Murthy, was the deputy commissioner of Tumkur, he had assured that B M Shri Bhavan would be established in the village, but the work did not begin. But the local organisations made representation to the Government and the local MLA. Finally the proposal was taken during the Suvarna Karnataka (2006-07) year. A tiled-roof house of more than 100 years, in possession of Sowmya Nayakamma, a relative of B M Shri’s mother, was demolished. But the work of constructing of the Bhavan stopped midway. Following this B M Shri’s family and Sowmya Nayak moved the court for the delay in constructing the Bhavan. A notice was issued by the court to the district administration about a year and a half ago. The district administration woke up and took steps for the construction of the Bhavan. Former Chief Minister H D Kumaraswamy during his tenure released Rs 10 lakh in two instalments, but the money was not adequate for the construction of the Bhavan. Some hope came from the local legislator but did not become a reality. Only 70 per cent of the work on the Bhavan is completed, says the authorities in the charge of the construction. It is eight months since the worked has stopped. The cost of building materials and construction is escalating day by day. The cost of construction is likely to increase in the coming days and there is a need to speed up construction of the Bhavan. Vaidehi (real name Janaki Srinivasa Murthy), born in 1945, in Kundapura, Dakshina Kannada District, Karnataka is a well-known Kannada fiction writer and poet, renowned for her espousal of the cause of women. Her writings, generally described as post-modernist, depict the plight of women in an indignant and rebellious tone. In fact, it is told that her creative self blossomed as a result of her encounters with patriarchy, in search of her personal freedom. For instance, daring to sit on a chair was, for her, one of the heroic feats she accomplished in her childhood, in defiance of the social injunction that girls should not sit on chairs in presence of the male members of the family, let alone male members from outside. She longed for the freedom that she was denied on account of being a woman, but enjoyed in full measure by her brothers. Her short stories and novels lament the discrimination and unequal treatment meted out to women in society. She successfully takes up cudgels on their behalf, using her pen as an effective weapon for social transformation. Vaidehi has received many prestigious literary awards, such as the Karnataka Sahitya Akademi award, the M.K. Indira award, and the Katha award. The Library of Congress has acquired fifteen titles by her. Many of her works have been translated into English and many Indian languages. Ayda kathegalu (read by author as Samajasastrajneya Tippanige). 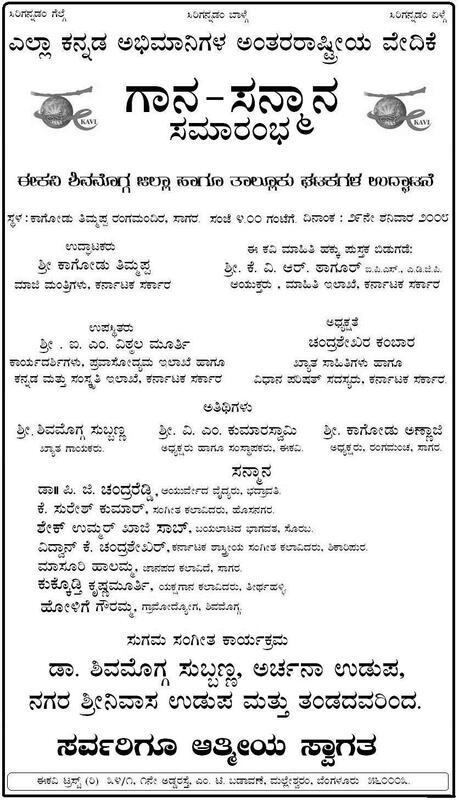 Bengaluru : Kannada Sangha, 1999. Karnataka : Aksara Prakasana, 1991. Dr. Kambar and Smt. Vaidehi at EKAVI Inaguration on October 4th 2003. 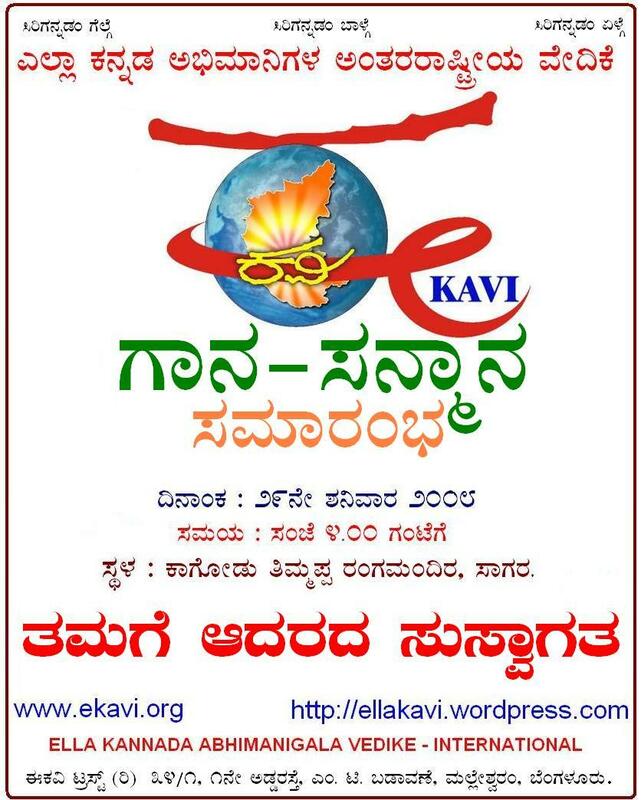 Kambar has inaugurated E-KAVI on October 4th 2003. Dr. Kambar continued by saying, “Globalization has triggered a chain of events that have affected the lives of commoners in Karnataka. In this context, it is prudent that we do not limit and isolate Karnataka from the rest of the world. E-KAVI, its members and members organizations should work cooperatively to ensure that all Kannadigas thrive together, not leaving behind even a single soul in this march towards prosperity”. Vaidehi, reiterated the concerns expressed by Dr. Kambar by adding, “The absence of the second generation of Kannadigas in today’s meeting is disheartening to me, especially because second generation is nothing but future torch bearers of Kannada culture in America. If we do not pay attention to them and include them in every activity of Kannada programs the purpose of the Kannada organizations is unserved”. She continued by saying, “E-KAVI has started with this important purpose to serve the needs of booth the first and second generation Kannadigas”. , ತಾಲ್ಲೂಕು, ಹೋಬಳಿ , ಹಳ್ಳಿಗಳ ಬಗ್ಗೆ ಚಿಂತಿಸಿ, ತನ್ನನ್ನು ಬೆಳೆಸಿದ ಊರಿಗೆ ಸಹಾಯ ಮಾಡುವ ಒಂದು ಸುವರ್ಣಾವಕಾಶ “ಈ-ಕವಿ” ಯಲ್ಲಿ ಕಲ್ಪಿತವಾಗಿದೆ. eGovINDIA, INDIA WBA, EKAVI and INDIA RTI has taken up several matters and issues in their forum to discuss and to bring into national level and attention of CVC, CAG, CBI, CBEC, Supreme Court, High Courts, State Officials and Highest officials in INDIA. All News Papers will be included for wider circulation. INDIA WBA has taken up the issues of WHISTLEBLOWERS in INDIA. eGovINDIA is a group dedicated to promoting true e-governance in India, consisting of members from all walks of life from within INDIA and the World over. Many State Ministers and senior bureaucrats of India are members of this group. We do have lawyers, social activists, freelance writers and journalists in the group. The group is meant for serious activists only. Casual members are not allowed to join the group. The group is also moderated by an Indian Administrative Service (IAS) Officer. As on date, the group has more than 3100 members. The focus of this group is true e-governance and use of open source technology in e-governance. The members of this forum have a passion to see a truly e-governed India, resulting in transparency and easy access to government services by the common man, notably the depressed class people (so called untouchables), women and people living in far flung and difficult areas of India. Corruption is a stark reality in India. The recent reports put India in the worst category in corruption index. For the group members, e-governance means less corruption too. The least we expect out of e-governance is transparency. The essence of good governance is based on the premise that the laws and procedures are transparent, clearly defined & understood by those governed and the implementation is both quick and smooth. To this effect, the governance in a developing country is a challenge, because a majority of the governed (citizens) are educationally & socio-economically challenged. More so, in developing countries, where the governments are formed through democratic means, the challenge of governance is much larger as the governors themselves are at times not very clear on various rules and procedures as Ã¢â‚¬ËœGovernanceÃ¢â‚¬Ëœ per say is a dynamic process, that cannot be handled through static rules and procedures. Further, at times, the rules and procedures, though explicitly defined in the constitution or statutes, by themselves become hindrances in the path of governance due to lack of transparency and procedural clarities. Hence, the solution to the foresaid lies in providing a mechanism that is quick, interactive and provides a clear repository of rules and regulations, which extend help in decision making for both the governors and the governed. The mechanism can be easily defined as e- governance, that has the benefit of providing clear cut, transparent, interactive, easy to implement and just solutions (in dynamic mode) in the quickest possible time frame. However, it is easier said than done, because in a developing country the access to basic amenities as food, water, clothing , shelter , basic education and health take the immediate planning priorities of the governors, that always move from Ã¢â‚¬Ëœone crisis to another Ã¢â‚¬â€œ Emergency Hospital Room situationsÃ¢â‚¬Ëœ without having time to plan strategies to link the issues in a holistic perspective and address the root cause of the problems . The Governors (policy & decision makers) need to be made aware on possibilities that are presented now with the advancement of Information & Communication Technologies (ICT) that can collect, collate and analyze data from various sources among different sectors to view the economy holistically and support decision making processes in a transparent way. The overarching mission of The eGovINDIA Consortium is that e-Governance can happen, provided the capacity building of both the governors and the governed take place on utilizing ICTs to the optimum capabilities. ICTs can facilitate the process of governance, provided at the grass root levels, the data are collected & collated in the standardized structural formats (Automated data collection & Collation Systems), converted into tangible Management Information Systems (MIS) from which the Decision Support Systems (DSS) can evolve. DSS can help in supporting sustainable development across developing countries, as it would clearly differentiate between the solutions that are required by the unserved and the underserved and the affluent class. More so, the digital divide can be closed, provided a clear understanding of the needs for an e-Governance mechanism & infrastructure is understood. This would include a detailed understanding of the governance issues and processes at various levels of economy in different economic sectors across many classes. Once, a clear understanding of the e-Governance infrastructure need & process is established, Ã¢â‚¬ËœTool KitsÃ¢â‚¬â„¢ suiting the requirements of various stakeholders (Urban and Rural) can be developed that can include the various Ã¢â‚¬ËœModulesÃ¢â‚¬â„¢ to advance public sector reforms and facilitate the planning processes. The Knowledge Maps and e-Government Toolkits of Urban and Rural stakeholders should thus be planned and prepared in two distinct and separate but possibly overlapping Modules. `Right to Information Act will empower common people’. An inalienable right conferred on citizens. The eGovINDIA Consortium strongly advocate that ALL Governance in INDIA needs NRTI Act 2005 implemented effectively and properly to follow RTIA which means Responsibility, Transparency, Integrity and Accountability. The legislative intent is clear; we are entitled to know how our money is spent. The onus is on us to make the Act work. In effect, therefore, the right conferred on the citizen is an exhaustive one. It allows him to assess and examine every government decision, to study the reasons recorded by the government for taking a particular step, and to utilise information so gathered to ensure that government acts in a transparent and just manner. Localization of Languages which is a MUST for EFFECTIVE Implementation of eGovernance, RTI Act and all other Acts of INDIA.There are 20 to 22 official languages in INDIA. All ACTS of INDIA needs to be TRANSLATED into these official Langauges. Only 5 % in INDIA speak English. Only 20 to 25 % in INDIA knows Hindi.85 % to 90 % of people speak there own STATE LANGAUGE. We need to CATER to these people. This should happen in INDIA. GOI needs to think about this for it’s future. Real RTI Activists who are in the field knows about this problems. E-mail is an efficient and timely communication tool used to carry out departmental activities and to conduct business within the Government of India, with business partners and with citizens. E-mail has become an important component of any office automation system. It expedites exchange of information, speeds up the decision making process and reduces paperwork, resulting in increased productivity, reduced costs and better delivery of services and programme’s. What NOTACCOUNTABLE INSTITUTION of Smart Governance “NISG” can do in eGovernance of INDIA ? ಅವರು ಕನ್ನಡ ಲೇಖಕರಲ್ಲ ; ಲೇಖಕರ ಕುರಿತು ಗೌರವ ಉಳ್ಳ ಸಹೃದಯಿ. ಭಾರತ, ಕರ್ನಾಟಕ, ವಿಶೇಷವಾಗಿ ಕರ್ನಾಟಕದ ಸರ್ವತೋಮುಖ ಅಭಿವೃದ್ಧಿಗೆ ಸದಾ ತುಡಿಯುವ ಮನಸ್ಸು. ರಾಜ್ಯದ ವಿವಿಧ ಜಿಲ್ಲೆಗಳಲ್ಲಿ ಮಹಿಳಾ ಕಲ್ಯಾಣ ಕಾರ್ಯಕ್ರಮ ಹಮ್ಮಿಕೊಳ್ಳುವುದು, ಆ ಪ್ರದೇಶದ ಶಾಲೆಗಳನ್ನು ದತ್ತು ಪಡೆದು ಬಡವರಿಗೆ ಮೈಕ್ರೊ ಕ್ರೆಡಿಟ್‌ ಸೌಲಭ್ಯ ಒದಗಿಸುವುದು, ಇತ್ಯಾದಿ ಜನಮುಖಿ ಕಾರ್ಯಕ್ರಮಗಳನ್ನು ರಾಜ್ಯದ ಇತರ ಎನ್‌ಜಿಓಗಳ ಸಹಕಾರದೊಂದಿಗೆ ಹಮ್ಮಿಕೊಳ್ಳುವುದು ಈ ಸಂಸ್ಥೆಯ ಉದ್ದಿಶ್ಯ. ಈ ಸಂಸ್ಥೆಯ ಧ್ಯೇಯ: ಕಲ್ಯಾಣ ಕರ್ನಾಟಕದ ಸಾಕಾರ! ಅಮೆರಿಕಾದಲ್ಲಿ ಅನಧಿಕೃತ ಸಾಂಸ್ಕೃತಿಕ ರಾಯಭಾರಿಯಾಗಿ ಕನ್ನಡದ ಪರಿಚಾರಿಕೆಯಲ್ಲಿ ತೊಡಗಿರುವ ಕುಮಾರಸ್ವಾಮಿ ಕುವೆಂಪು ಪ್ರತಿಪಾದಿಸುವ ‘ವಿಶ್ವಮಾನವ’ ಆದರ್ಶಕ್ಕೆ ಹತ್ತಿರದವರು. ಮಲ್ಲಿಗೆ ಬಳ್ಳಿಯ ತೆಳು ಘಮಲು ತುಂಬಿಕೊಂಡ ಹಿತ್ತಲಿನ ಹೊಸಿತಿಲಿಗೂ ಜಾಗತೀಕರಣ ಎನ್ನುವ ಮಾಯಾವಿ ಆಗಮಿಸಿರುವ ಇವತ್ತು ; ಕನ್ನಡವನ್ನು ಉಳಿಸುವಲ್ಲಿ , ಅಂತರ್ಜಾಲದಲ್ಲಿ ಅರಳಿಸುವಲ್ಲಿ , ವಿಶ್ವಭಾಷೆಯಾಗಿ ರೂಪಿಸುವಲ್ಲಿ ಕುಮಾರಸ್ವಾಮಿ ಅವರಂಥ ಕನ್ನಡ ಪರಿಚಾರಕರ ಮಹತ್ವ ದೊಡ್ಡದು. ಅವರ ದೊಡ್ಡಸ್ತಿಕೆಗೆ ಇನ್ನಷ್ಟು ಗರಿಗಳ ಶೃಂಗಾರ ದಕ್ಕಲಿ! ಇದರಿಂದ ಬೆಂಗಳೂರಿನಲ್ಲಿ ವಾಸಿಸುತ್ತಿರುವ ಕನ್ನಡಿಗರಿಗೆ ತಮ್ಮ ತಮ್ಮ ಜಿಲ್ಲೆ , ತಾಲ್ಲೂಕು, ಹೋಬಳಿ , ಹಳ್ಳಿಗಳ ಬಗ್ಗೆ ಚಿಂತಿಸಿ , ತನ್ನನ್ನು ಬೆಳೆಸಿದ ಊರಿಗೆ ಸಹಾಯ ಮಾಡುವ ಒಂದು ಸುವರ್ಣಾವಕಾಶ “ಈ-ಕವಿ” ಯಲ್ಲಿ ಕಲ್ಪಿತವಾಗಿದೆ. ಬನ್ನಿ ಸೋದರರೇ , ನಾವೆಲ್ಲ ಒಂದಾಗಿ ದುಡಿಯೋಣ. Native Place: Marappanapalya, Nelamangala Tq, Bangalore Dt. naanu USA nalli 1975 inda iddene. Healthcare and Business Management Consulting Company in California. EKAVI is working with VILLAGE MULTIMEDIA to promote ANGAI KANNADA CD.